There's some key tips when storing your winter clothing and shoes. 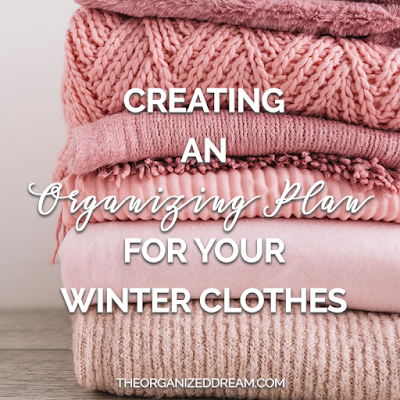 Not only will these tips help you store and organize your winter attire neatly and safely, but it will help you purge what you don't need. Think of spring cleaning, but for your wardrobe! 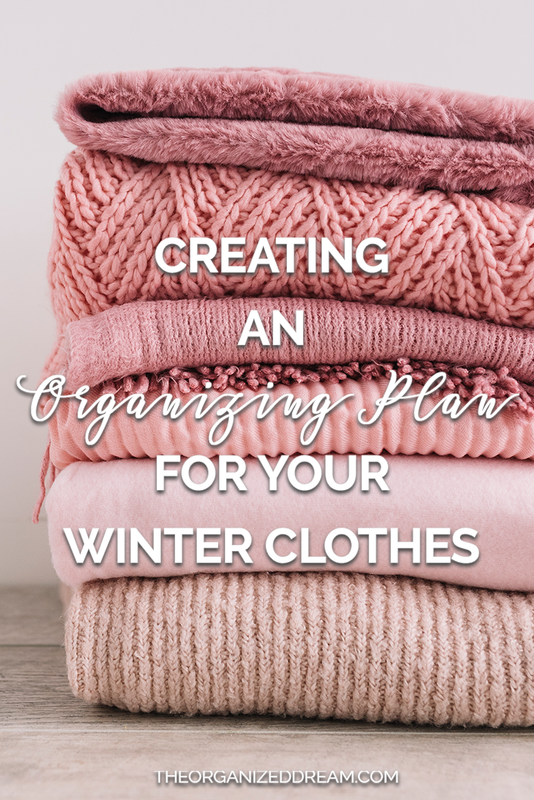 Before storing your winter clothing, make sure that you go through each piece to see what no longer fits you or items that you may not want to wear next season. This will not only make more room for your clothing, but will also help you from having to do it when you switch it back. Be sure to button, zipper and fasten your clothing such as jackets and sweaters because it will help keep their shape. I have stored jackets without doing this and, more often than not, I end up with a wrinkled mess. By removing debris like salt and dirt from your shoes, you not only ensure the longevity of your pieces, but will have them ready to go next season. It's also a great idea to wash your clothing before storing because it will ensure that your clothes will be fresh and clean when you need them. Refrain from storing your items in cardboard boxes because they have a tendency to attract pests and can easily be accessed through biting at the cardboard. Keep in mind of the temperature where you plan on storing your items as well. Too much humidity or moisture and you'll end up with a musty smell to your garments. One of the best ways I've found to store clothing is by using vacuum bags. They are the perfect solution for easy storage and save a ton of space! They also repel insects and moisture so your clothing comes out as fresh as they went in. Finding the perfect place to store your items is a must. By using out-of-the-way places such as the back of a closet or on a high shelf will allow more space for your current wardrobe and will be out of the way. You can easily keep track of your items in the event that you may need it during the warmer months by simply creating a list of where your items are. Need a sweater for a chilly night at a baseball game? Check your list to see where you put it! Use these simple steps to create an organizing plan for your winter attire and use it when you store your summer clothing, too! You'll be sure to save time and even some space!